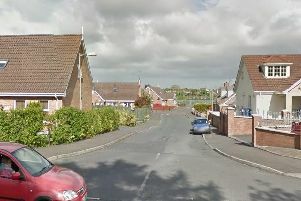 Police probing the death of a man in Lurgan have said they are treating the death as ‘suspicious’. The man’s body was found in the Dingwell Park area of Taghnevan at lunchtime today (Tuesday). A PSNI spokesperson told the MAIL tonight: “Police continue to investigate the circumstances surrounding the death of a man, aged in his 30’s, whose body was found in a flat in the Dingwell Park area of Craigavon at lunchtime today, Tuesday 13 October. Detective Chief Inspector Eamonn Corrigan, who is leading the enquiry, said: “If anyone saw anything unusual in the Dingwell Park area in recent days, we would like them to contact detectives at Mahon Road police station by calling the non-emergency number 101. Craigavon Sinn Féin MLA John O Dowd said: “This is a tragic event and it is still early in the police investigation on the circumstances surrounding this death. Our thoughts must be with the family and friends of those affected. “Everyone in the Taghnevan and wider community will be shocked by this death.